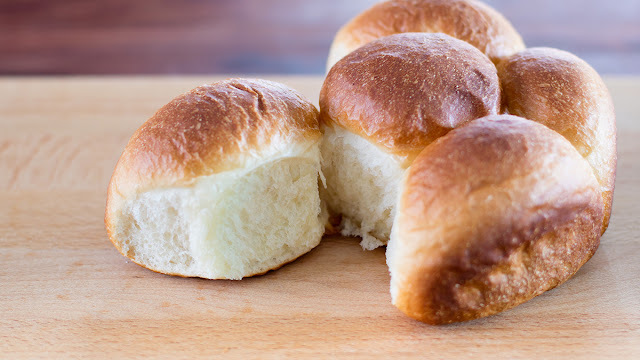 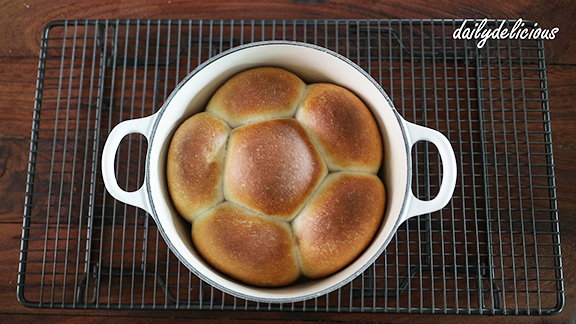 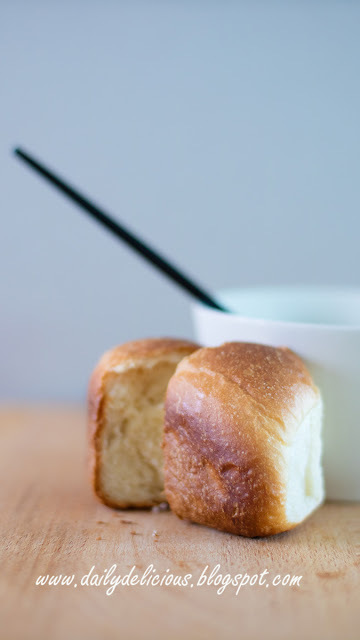 dailydelicious: Dinner Rolls: Delicious with every meals. I just come back from vacation, this time, I went to Kyoto, Biwako and Osaka, it's one of the best trip, and yes, I will post the photo (a lot of them, haha) in next post. 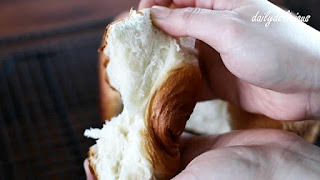 But today, let me go into the kitchen, well I really miss it, you have to understand that I love to play with my oven even travel for me is one of my favourite thing but baking is one of them too ^^. 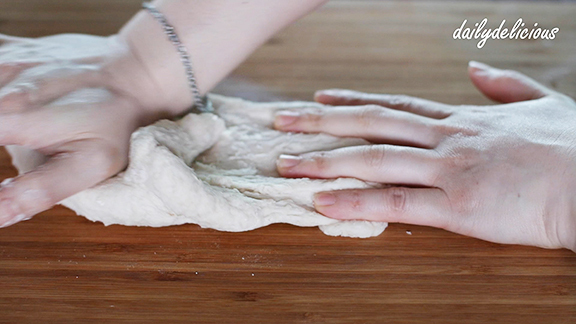 Kneading bread can make you feel great esp. 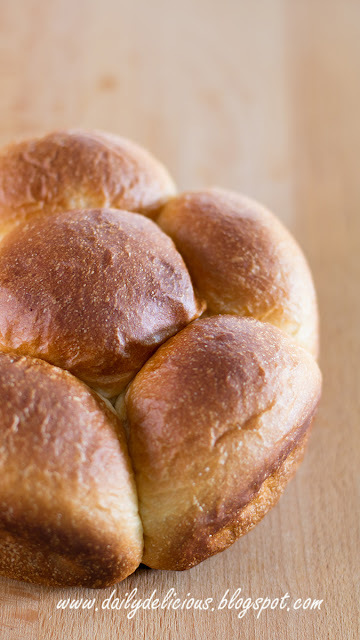 when you want to free from stress, knead it with all your power and after that you will get delicious bread as a reward. 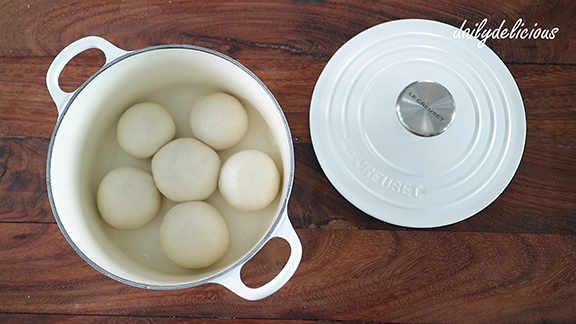 You can see that this time I bake my bread in Le Creuset Cast Iron Round Casserole, it's one of the trick that can make your bread more delicious. Cast Iron is very heavy and the frist part of the baking you have to keep the lid on that means the stream will stay in the Casserole and make the bread rise to its max, after that the hot Casserole will create great color on your bread ^^. 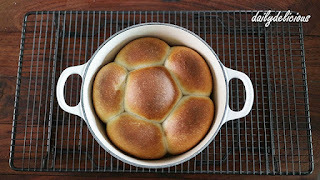 If you don't have Cast Iron Casserole, try cover the pot with aluminium foil and follow the method, and you can get delicious bread too (but the color will be less rich ^^). ..................................... 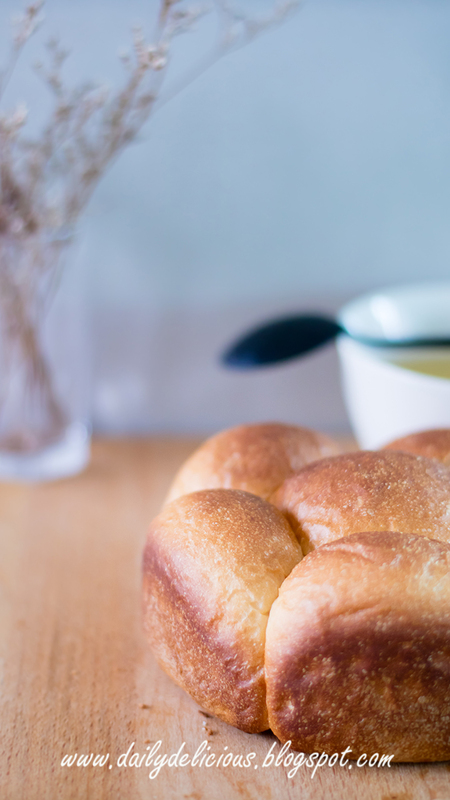 Butter, for brushing the bowl and the pot. 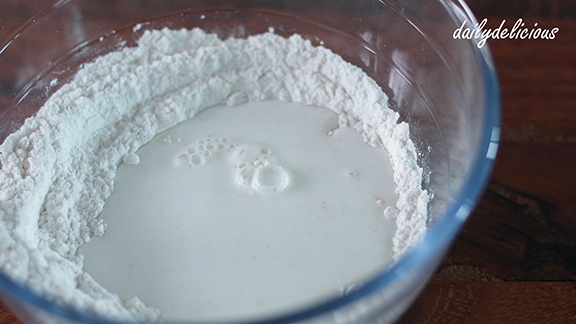 Put bread flour, instant yeast and sugar into a bowl and whisk to combine. Put the salt into the bowl and whisk to combine, pour the milk into the bowl and mix with a spatula until moistened. 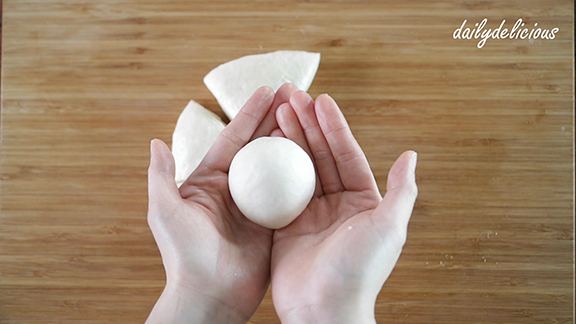 Then use your hand to mix until dough formed. 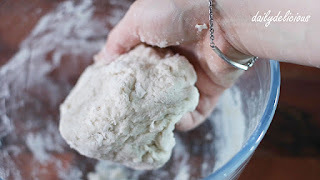 Remove from the bowl and knead until fully combine. 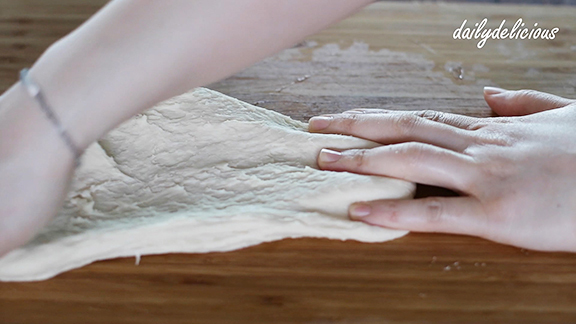 The dough will be smooth and not sticky. 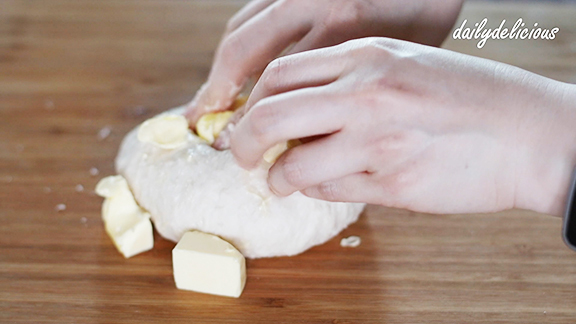 Brush the bowl with butter, place the dough into the bowl and cover with plastic. Let it rest for 30-40 minutes. 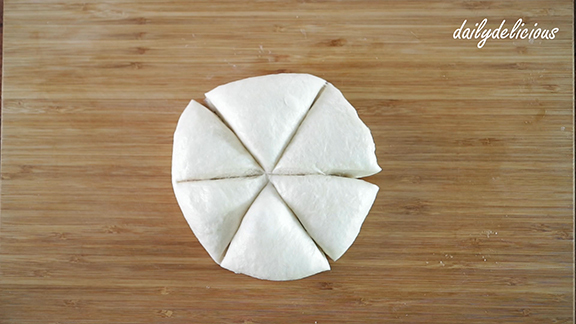 Remove from the bowl and cut into 6 pieces. Brush a Casserole with butter (I use 18 cm Le Creuset Cast Iron Round Casserole). Cover with the lid and let it rest for 30-40 minutes. 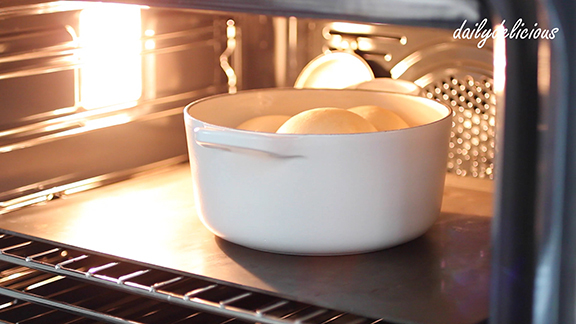 Meanwhile preheat an oven to 190C. 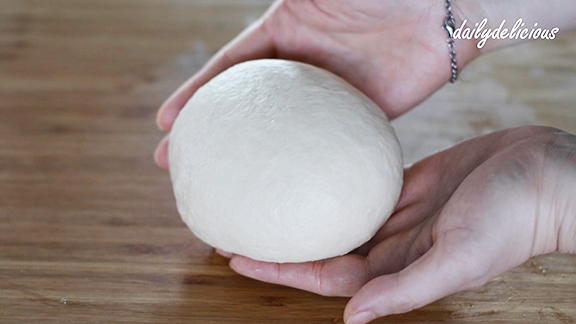 The dough will be almost double in size. 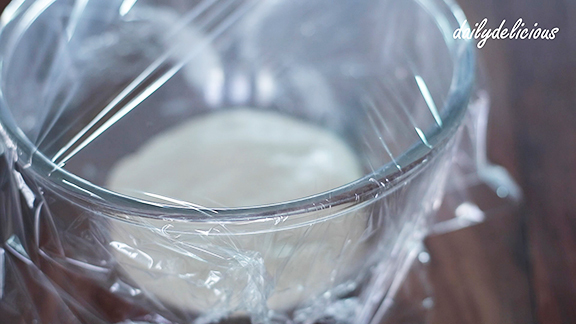 Cover with the lid and bake for 18 minutes. 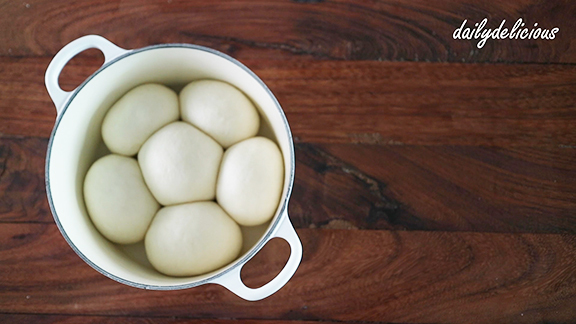 Remove the lid and bake for 5 minutes more. Or until the color is golden brown. Remove from the oven and let it cool in the Casserole for 5 minutes. 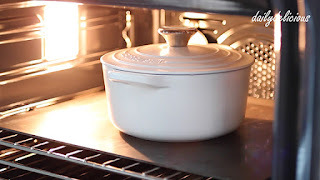 Then remove from the Casserole and let it cool on the wire rack. 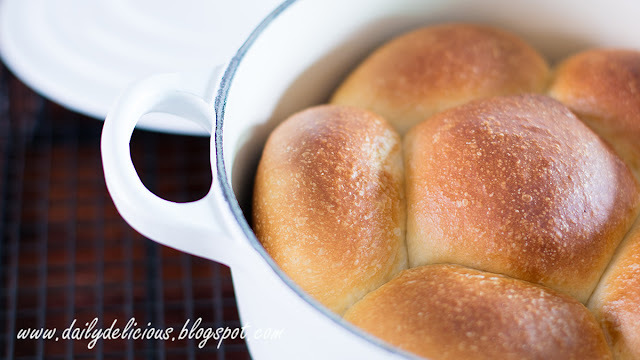 And you get delicious dinner rolls to serve with every dish ^^.